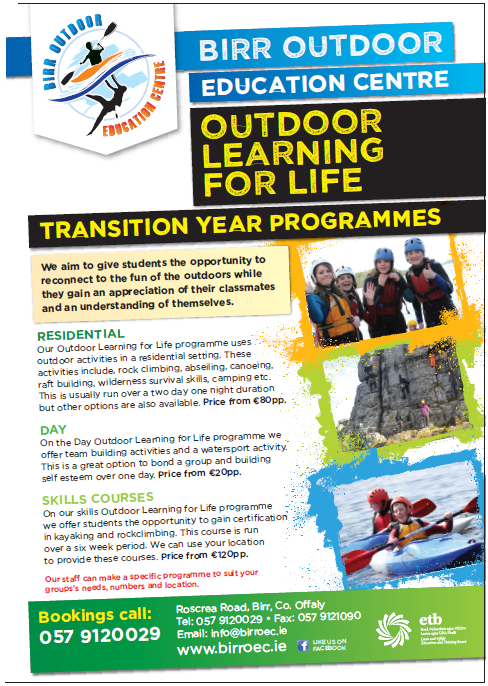 The Outdoor Learning for Life Programme : aims to offer students the opportunity to reconnect to the fun of the outdoors while they gain an appreciation of their classmates and an understanding of themselves. Increased performance on standard exams, reduced discipline problems in the classroom, development of problem-solving skills, increased engagement in the classroom. The student may think critically and creatively; ask thought-provoking questions; understand connections and interrelationships; and transfer learning to other aspects of their lives (Lieberman and Hoody 1998). What is the Outdoor Learning for Life Programme? Our Outdoor Learning for Life programme uses outdoor activities in a residential setting. 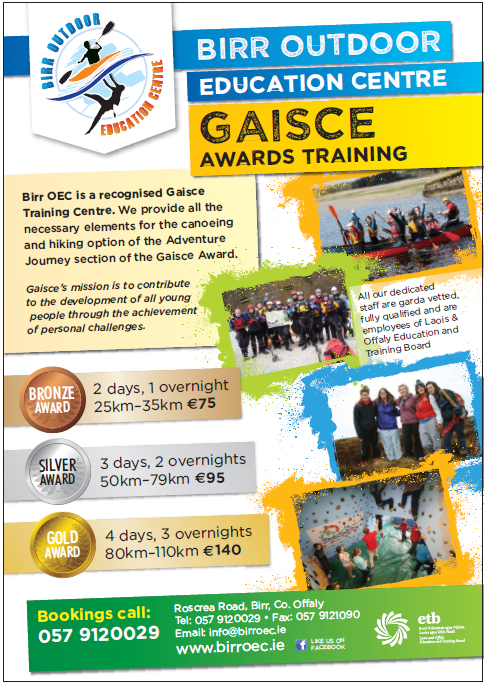 These activities include, rock climbing, abseiling, canoeing, raft building, wilderness survival skills, camping etc. The residential experience aids in achieving goals such as confidence building, self esteem, building new friendships, teambuilding and even back to basic skills like washing up. Birr OEC is a non profit organisation affiliated to the Department of Education and Skills, under the auspices of Laois and Offaly ETB.